Lucknow University will declare the much-awaited UP B.Ed Joint Entrance Exam Result 2018 today on April 27. The UP B.Ed result will be announced in an online mode. The students can check their B.Ed. result of Lucknow University by clicking a direct link which has been provided below. The University successfully conducted the UP B.Ed JEE on 11 April 2018. Around 2 lakh students appeared for the UP B.Ed. exams this year, which is much less than last year. 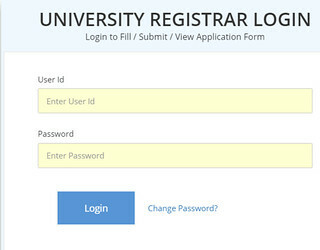 To check the UP BEd Result 2018, candidates have to log in and enter credentials. The candidates with a good show in the exam will be through to the counselling process, which is expected to commence from 1 June 2018 as per reports. UP BEd Result is undergoing a huge confusion right now. A lot of news sites are writing that the UP Bed result has been declared. In actual, the result is yet to be declared. The UP Bed result was first supposed to be declared at 7 PM but now it says that the result will be declared at 10 PM. How to check the UP B.Ed. JEE Result 2018? Step 1: Candidates should click on the direct link which has been posted below. Step 4: UP B.Ed. JEE Result 2018 will be displayed on the screen. Step 5: Candidates should take a printout of the result for future usage. Lucknow University conducted the UP B.Ed. Joint Entrance Exam on 11 April 2018. Around 2 lakh students appeared for the exam this year, which is 1 lakh less than the previous year’s exam. The Result of UP B.Ed. JEE 2018 will be announced by the Lucknow University on 27 April. Earlier, the result was scheduled to be released on 10 May 2018. UP Bed counselling process for the successful students is expected to commence from 1 June 2018. However, the Lucknow University is yet to make an official announcement on its official web portal, in this regard. Stay Updated with MotaChashma.com for latest updates on UP BEd Result.